By Kgothatso Mokoena, World YWCA Programme Associate, writes below on the life of the First Black South African President Nelson Mandela and the father of the Great Nation of South Africa, Kgothatso’s native land. He was born in 1918 into the Xhosa-speaking Thembu people in Umtata in the Eastern Cape of South Africa, Often called by his clan name – “Madiba”. In 1941, aged 23, he ran away from an arranged marriage and went to Johannesburg, and this is where he started his political Journey. Two years later, Nelson, completed his Law degree in Witswaterand University and opened a law practice in Johannesburg with his partner, Oliver Tambo. It is during all this that he was exposed to liberal, radical and Africanist influence. His passion for politics was highly influenced by the state of racism and discrimination at the time. The same year, he joined the African National Congress (ANC) and later co-founded the ANC Youth League. Together, Mr. Mandela and Mr. Tambo campaigned against apartheid, the system devised by the all-white National Party which oppressed the black majority, then later on , early in 1956, Mr. Mandela was charged with high treason, along with 155 other activists, but the charges against him were dropped after a four-year trial. His Resistance to apartheid grew, as he mainly stood against the new Pass Laws, which dictated where black people were allowed to live and work. Sadness and anger clouded the streets of Soweto, Alexander and Diepkloof as the news spread that the Youth leader has been arrested once again and this time taken to a place where no one know . ‘Khulul ‘u Mandela’ (Release Mandela) song was then sang every time a police van passed by, this broth no good but more torture and deaths to more 80 activists at the time. Tension with the apartheid regime grew, and soared to new heights in 1960 when 69 black people were shot dead by police in the Sharpeville massacre. Later on, in winter of 1964 Mr. Mandela was charged again, to Life sentence, sent to isolation where he spend many painful years in hard labor. In the space of 12 months between 1968 and 1969, Mr. Mandela’s mother died and his eldest son was killed in a car crash but he was not allowed to attend the funerals. While in jail on Robben Island in the 1980s, Mr. Mandela contracted tuberculosis and he had to negotiate in order to receive treatment. “Only free men can negotiate. Prisoners cannot enter into contracts”. As Mr. Mandela and other ANC leaders languished in prison or lived in exile, the youths in black townships did their best to fight white minority rule which resulted in hundreds of them being killed and may injured and thousand forced out of school. With one voice, the ANC led by the exiled Mr. Tambo, launched an international campaign against apartheid but ingeniously decided to focus it on one cause and one person – the demand to release Mr. Mandela. In December 1993, Mr. Mandela and Mr. de Klerk were awarded the Nobel Peace Prize. Though was still young at the time, I could remember the songs and ululates as Mr. Mandela become the country’s first black president four years later and to play a leading role in the drive for peace in other spheres of conflict. During his term, he entrusted his deputy, Thabo Mbeki, with the day-to-day business of the government, while he concentrated on the ceremonial duties of a leader, building a new international image of South Africa. 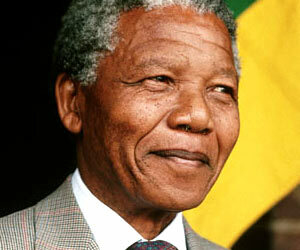 Mr. Mandela stepped down from Presidency and declared he wanted to continue serving ‘His’ people in other ways. After his official retirement, his public appearances were mostly connected with the work of the Mandela Foundation, a charitable fund that he founded (In 2003-2006 I was one of the programme co-coordinators in Matjhabeng local Municipality). The programme was on Youth programmes, the main focus was on Youth development, Child and family welfare, orphans and vulnerable children, children heading households and children affected and infected by HIV and AIDS. Within this programmes we developed youth in life skills (Computer, Business, Accounting and handwork etc.). Most of our beneficiaries have shared their stories and will continue to do so as they grow. Nelson Mandela had a great passion for young women development and empowerment, and because of this his foundation introduced a programme called “Youth, Change Agents”, this mainly focused on young women’s leadership. Since stepping down as president in 1999, Mr Mandela became South Africa’s high-profile ambassador, campaigning against HIV and AIDS and helping to secure his country’s right to host the 2010 football World Cup. Mr. Mandela married Graca Machel on his 80th birthday (widow to the late President of Mozambique Mr. Samora Machel) and was later diagnosed with prostate cancer and survived. Even though he had serious health issues, he spent time negotiating for peace in other African countries including DRC and Burundi amongst others. At the age of 85 he retired from his public life and shared a wish to spend time with his family and friends and just engaged when attention was really needed. “Don’t call me, I’ll call you,” he warned anyone thinking of inviting him to future engagements. It was time when taboos still highly surrounded the AIDS epidemic, Mr Mandela announced that his son had died of AIDS, and urged South Africans to talk about AIDS ” to make it appear like a normal illness”. On his 89th birthday, after the death of his surviving son Makgatho, he formed The Elders: a group of leading world figures, to offer their expertise and guidance “to tackle some of the world’s toughest problems”. Tata’s wish came true, he wanted to see the world cup in African soil, and was blessed as it was hosted by his beloved country, South Africa, and appeared to greet the guest and fellow country men. The country continues to celebrate him and later 2012 the first South African banknotes featuring his face went into circulation. In the news recently, it has been reported that Nelson Mandela has not been well, and indeed it is true, he has been treated in hospital for the past two years, and in 2011 he was diagnosed with abdominal problems and later went for Cholecystectomy (removal of gall bladder). But in recent months he has been troubled repeatedly by a lung infection. Today marks the 22nd day in hospital since June 8th, 2013 the whole world is in prayer for his speedy recovery and good wishes for the family. Nelson Mandela’s life is a true model of leadership; his life has given me a life long lesson of humanity. His charisma, self-deprecating sense of humour and lack of bitterness over his harsh treatment, will continue to motivate me. South Africans have been holding an all-night prayer vigil for former President Nelson Mandela, outside his former home in Soweto and the hospital in Pretoria where the World YWCA General Secretary Nyaradzayi Gumbonzvanda and YWCA-SA led in prayers. I wish Nelson ‘Tata’ Mandela and the family all the best, and would like to call upon the politicians and media to show respect by dedicating this time to the family. I also wish to encourage South Africans to continue to celebrate a life well lived, a life shared by all for all, a life of a father who’s gift to us worth more than Gold. Speaking from the dock in the Rivonia court room, Mr. Mandela used the stand to convey his beliefs about democracy, freedom and equality. “I have cherished the ideal of a democratic and free society in which all persons live together in harmony and with equal opportunities,” he said.